MOSCOW, November 4. /TASS/. The fire broke out in the aft of the Russian Black Sea Fleet’s large submarine chaser Kerch in the Russian federal city of Sevastopol on Tuesday morning, spokesman of the Russian Navy Captain First Rank Igor Dygalo told TASS. The fire has now been contained, Dygalo said. “Neither servicemen nor civilian personnel were injured in the accident,” he added. 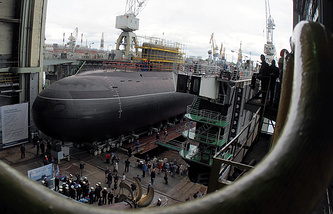 Kerch is currently under service maintenance at a shipyard in the city of Sevastopol, Dygalo said. The fire broke out at 5.12am Moscow time (2.12am GMT), he said. Brigades of Black Sea Fleet’s rescue unit and Emergencies Ministry’s fire-fighting service came urgently to the fire site. “The fire was contained at 6.35am Moscow time (3.35am GMT),” the naval spokesman said. Firemen and special ships were also fighting the fire, a source in Sevastopol law enforcement agencies told TASS. Emergency services succeeded in preventing the spread of fire to other compartments and finally the fire area has made around 100 square meters. The causes for the fire are unclear and a special committee will be probing the incident, the source said, noting that sophisticated repairing works were under way on board the warship at the moment the fire broke out there. The warship was brought into service of Soviet Navy in 1969, according to open sources. 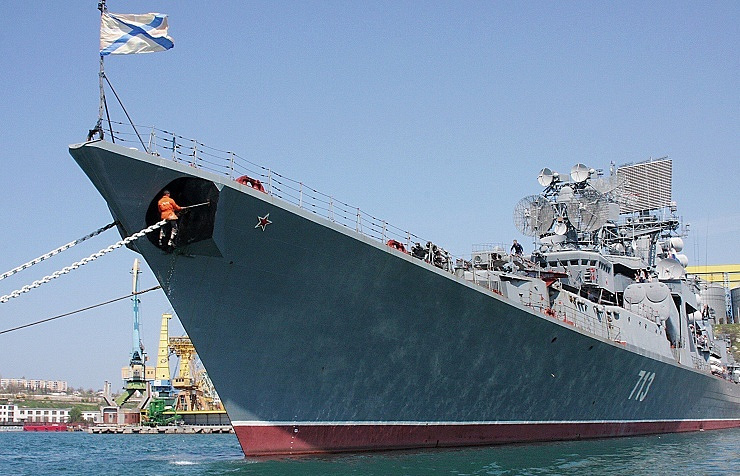 Kerch is one of two first-rank warships in the Russian Black Sea Fleet, as missile cruiser Moskva, the fleet’s flagship, is the second first-rank ship in the fleet.